Giving back and spreading joy is in our DNA, so we wanted to create a donation-based series that allows us to support causes that are near and dear to our hearts, as well as our members’ hearts. As such, the #GivingJOY series was born. Each month we’ll host a #GivingJOY charity ride where 100% of the proceeds will go towards the chosen cause. All bikes are free to reserve, but we kindly ask that you donate to the cause if you can. Join us Saturday, April 6th for the biggest #GivingJOY event of the year! Pedal to End Cancer is an Indoor Cycling FUNdraising event supporting the American Cancer Society. Our goal is to raise $10,000 to help support our local community as well as national research needs — but we need your help! Each class will have a $25 Registration fee that includes a special goodie bag, including a #GivingJOY tshirt, a Joywheel water bottle, snacks and other fun swag. Each participant is also encouraged to raise $100 in donations from Family and Friends to support their fundraising efforts. Choose from 4 cycling classes throughout the morning — featuring dual instructors, a special HOPE Luminaria Ceremony (led by our SOUL instructor Kristen), door prizes and refreshments for every ride! Each ride is 45 minutes. 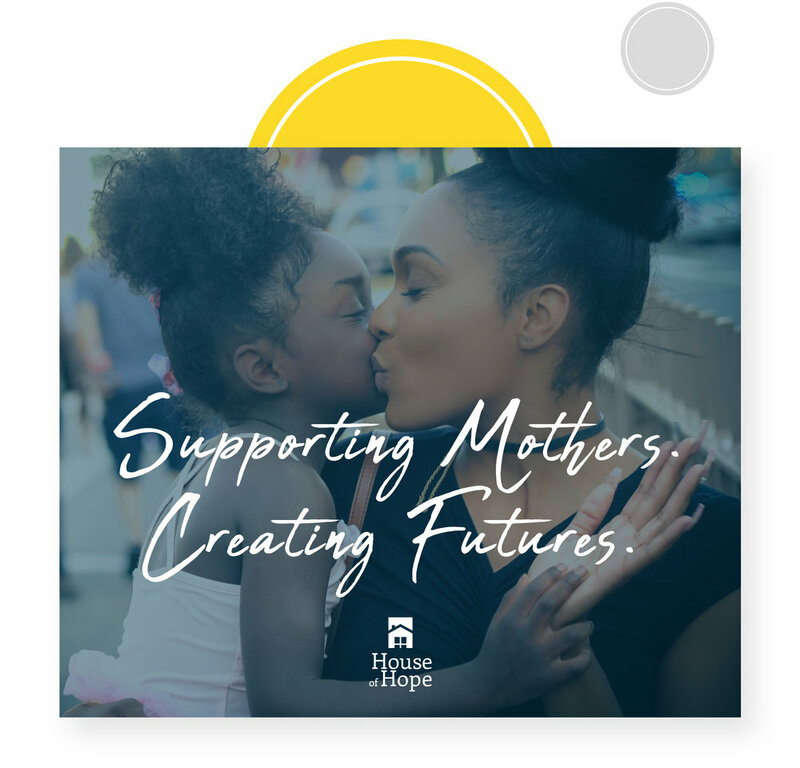 House of Hope provides homeless mothers with individualized support and transitional housing to achieve secure families and permanent homes. Their vision is to end the cycle of homelessness for mothers and children in the Cedar Valley. Their annual fundraiser was themed Woodstock Hope Fest this year. In true alignment, Soul instructor Kristen led our riders through an inspiring workout with an extra groovy playlist. Over $100 was donated to the organization! They can turn our donation into 5,198 Meals!! A huge thank you to all of our riders who contributed to this amazing effort. 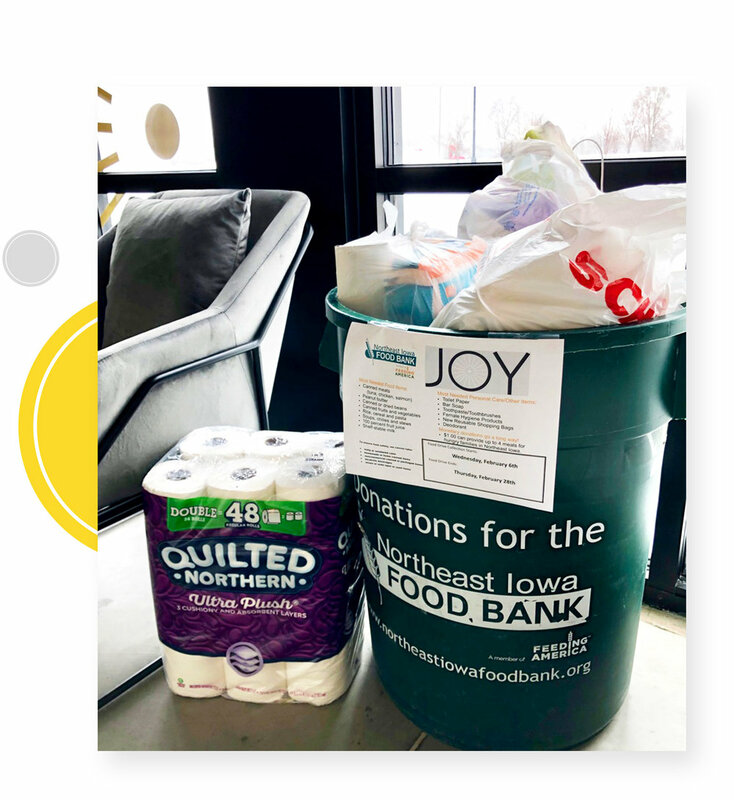 The Northeast Iowa Food Bank’s mission is to provide nutritious food and grocery products to nonprofit organizations and individuals in Northeast Iowa, while offering hunger educational programs to the community and those in need. They estimate that 1 in 8 residents in our 16-county service area seeks assistance from a Food Bank agency each year. Thank you for celebrating 50 Years of UNI Women’s Athletics with us! Women at Play is an annual fundraising event for female student athlete scholarships at the University of Northern Iowa. Thanks to all of our riders for generously donating a new and unwrapped toy for our local Toys for Tots foundation! Because of you, we were able to spread some joy to children and families all across Black Hawk county. This past year, Toys for Tots was able to help 1,651 local kids to have a better Christmas! If you have a cause that’s near and dear to your heart, we’d like to encourage you to please nominate it here. Please understand that we unfortunately cannot choose all nominations, but we’ll do our best to pick the ones that best support our community and members. Please include a brief message explaining why you'd like to nominate this cause, as well as when you'd like to recommend the ride take place. If there's a website with more information, please include that as well.